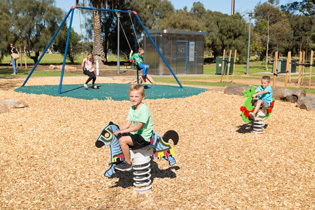 The renewal of an Adelaide Playground sees children transported to an imaginary world where knights and princesses play a key role. 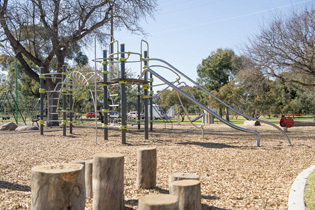 The Princess Elizabeth Playground and surrounding oval area is located in the Parklands, along South Terrace in Adelaide. 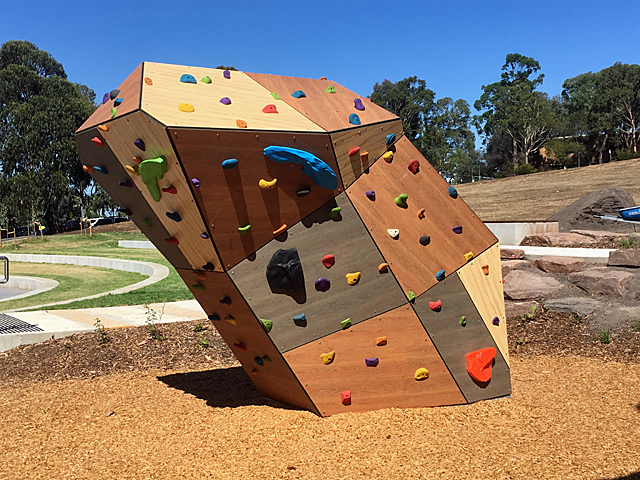 This space is a popular recreation area, especially for local school students and residents of the south eastern side of the City. 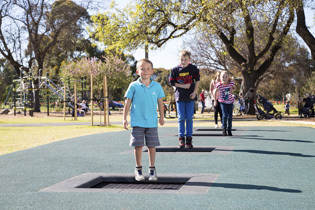 The City of Adelaide developed an innovative design concept for the renewal of Princess Elizabeth Playground, in consultation with the community. 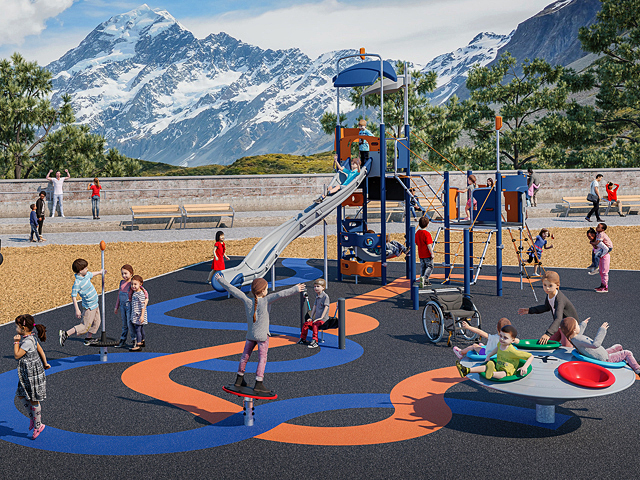 The City wanted to build a playground in keeping with the historical background of the playground that is relevant to its current use. 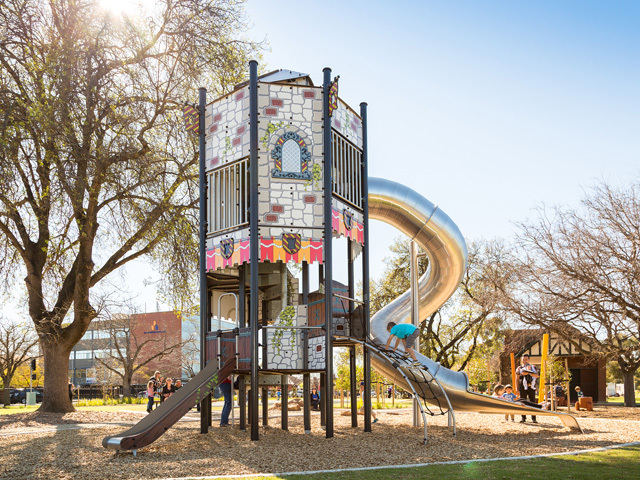 The update of the playground provided the perfect opportunity for a medieval castle tower from Proludic. 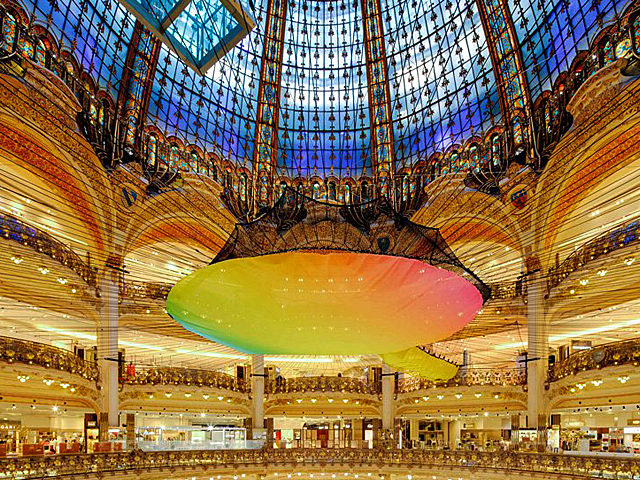 Using its unique Grafic Games concept, Proludic has provided a giant tower with a medieval decorative finish. The Medieval theme brings to life a period of history that fascinates children and adults alike. Children are transported into a wonderful imaginary land where knights and princesses play the key roles. 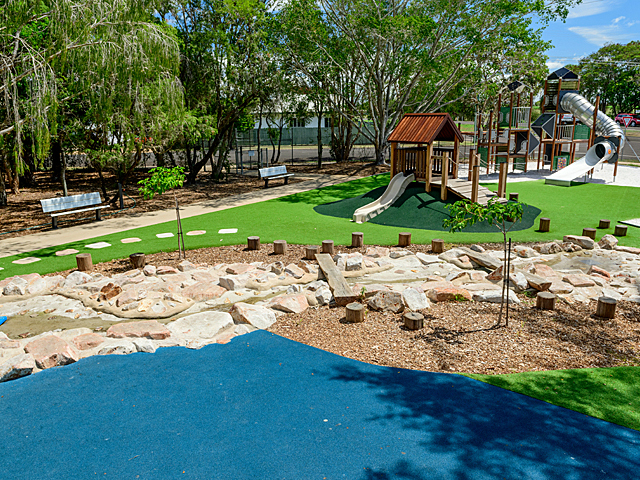 The play equipment is transformed into a castle, complete with shields, arrow slits, stone walls and turrets. The decorative aspect is further enhanced with banners, coats of arms and flags flying from the turrets. Henry the Horse Springer in Medieval Graphics has been installed close to the tower to match the playground theme. 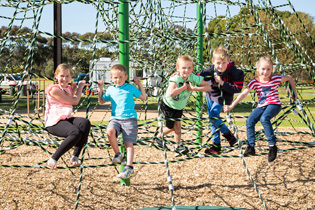 Older children enjoy a challenging net climber with Dynamo’s innovative Dizigotic which offers exciting climbing challenges on several levels, and energetic play. 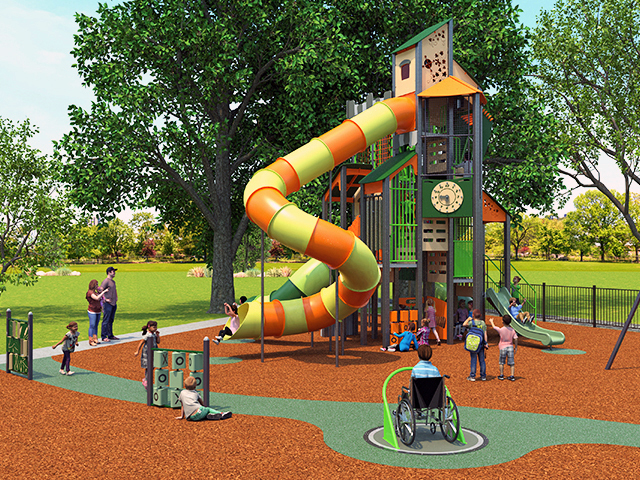 Other Proludic equipment featured in the park includes a Pod Swing, Trampolines, Fiery The Dragon Springer, and the existing Ixo unit. 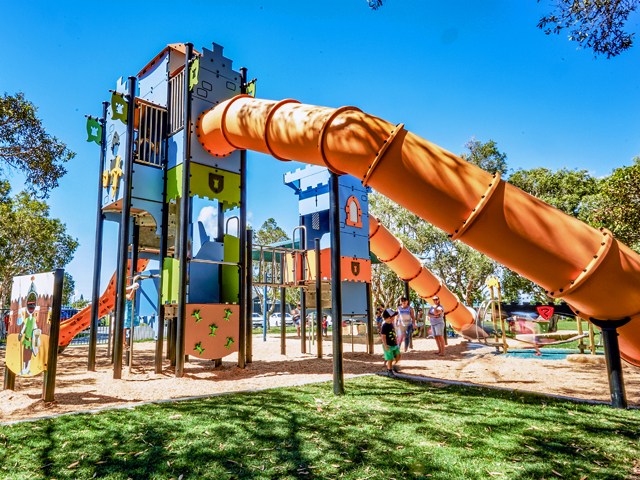 Contact us at info@proludic.com.au for further information on our Giant Towers and Grafic Games products.